When you hear the scream or shout of a female saying “that’s my song” or see a guy shacking his head to the beat. This briefly describes a reaction that feeds DJ Pat’s passion and goal to bring good music to people’s ear. Often said in his radio tagline, “Only for your eardrums”, DJ Pat have been contributing to the music world with djing since the age of sixteen. Patrick “DJ Pat” Shelton was born and raised on the Southside of Chicago, in a Christian home. Growing up, he found himself mostly stuck in the house taking care of his handicapped mother. Over the years, he took piano lessons, violin, and saxophone. All four years in high school, he played the snare drum in the marching and concert band at Dunbar Vocational H.S. His junior, as part of the school vocational curriculum, he took radio broadcasting, where he earned the name “DJ Pat” from students in his class. The first moment that pushed him to be an professional DJ, was the time him and his partner Ricky “Rick Dog” Robinson, hosted live at the city wide High School Fair at McCormick place in 2004. After that day, Pat and Rick partnered to do almost any event they could, hosting basketball games, talent shows, fashion shows, weddings and neighborhood parties. After high school, DJ Pat continues to DJ several events. In 2014, he graduated from University of Iowa with a B.A African American studies, and also member of Kappa Alpha Psi fraternity. During college he maintained a five-year relationship with the University radio station, with his weekly show “XKLusive Radio” on Krui 89.7fm and the Internet station Krui The Lab on www.krui.fm. 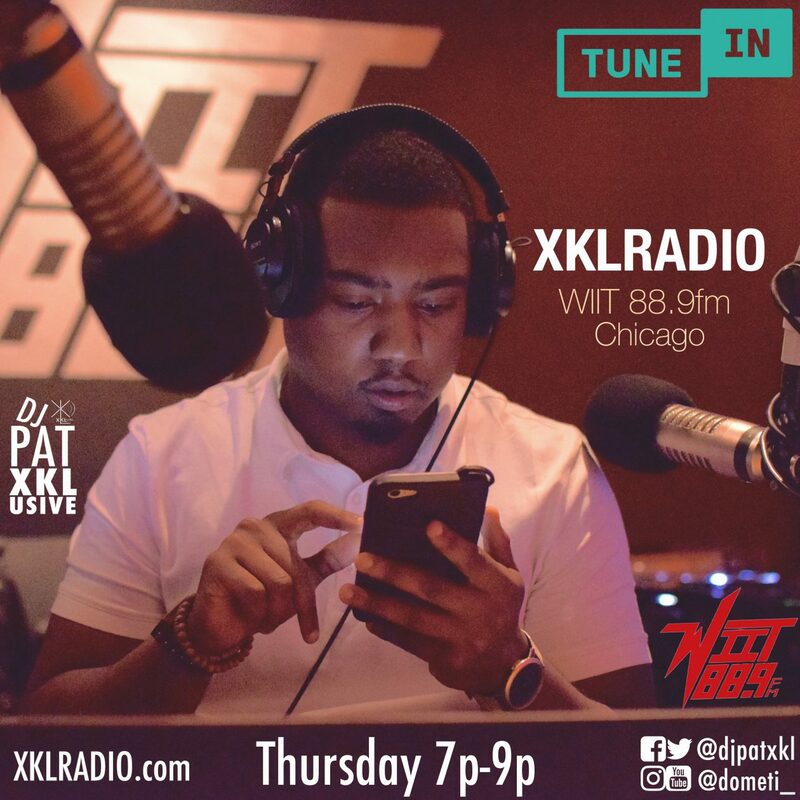 Today, the new home to “XKLradio” is on WIIT 88.9fm, every Thursday 7p-9p and co-host a weekend radio show called “Third Thought” with Co-host and journalist Dometi Pongo, 1p-3p Saturdays on www.windycityunderground.com Currently, Pat is a Technical Producer at WVON 1690am Chicago radio station, and Media Specialist at Olive Harvey College. Also, DJ for Flow Entertainment, primarily the #1 Bar Mitzvah company in the Midwest. If inquiring DJ services, you will get the best music in a variety of genres, including Top 40, Pop, Hip Hop, R&B, House, EDM, & More.